Home Enlivening The Moral Of The Story, And Is It The Truth? The Moral Of The Story, And Is It The Truth? Growing up there were moral codes that dictated our behaviours, what was acceptable and what was not. Our parents, teachers, and anyone that had an authoritarian significance in our life did a good job of dictating to us about values, principles, standards and morality. Depending on how you would define who you were at a young age, whether you were a firecracker or someone quite gullible (that was me), set the bar for how much of these moral standards you believed in and how much you rebelled against them. Moral, it is a powerful word, and I am sure it rings in the ears of many people, because there might be a big question on your mind; what is the truth and what is not? The moral of this story is what are the lessons to be learned, what are the messages and how much of a significance do the morals that you have been taught, impact your life? 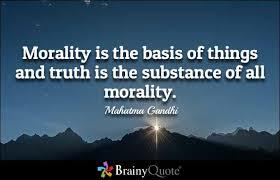 What morals do you follow that have left an imprint on your Soul? Each of us has a different moral code that we organically follow, I doubt that there are any two people who have the same code, even in our immediate family group, because each of our Souls is unique to ourself, no two Souls are alike. What might be right for you, might be a totally different story for your sister/brother, even though you have been raised by the same parents, under the same roof, you have eaten the same foods, and breathed the same air, you are you and they are them, different in many ways. ‘Try to be sensible’, you might have heard that a lot from the so called ‘older and wiser’, but what did they mean by ‘be sensible’, in other words your course of action should be in accordance with their prudence, which often times was highly likely to be out of balance with you. If we were to follow all of the rules and regulations, moral ethics and principles that are expected of us in this world, what we have signed up for is a no-nonsense, levelheaded, practical, and reasonable life! Although this might be the way some humans choose to live their life, which indeed there is nothing wrong with their decision, not all of us fit into this category. Which keeps me asking, ‘what is true’? When someone says to you, ‘isn’t this the sensible thing to do’, how does it make you feel? Do you instinctively want to do the opposite (fire cracker rebel, one might say) or do go alone with what seems to be the sensible? Morals are a part of our life, there is no denying that we must to some degree be honourable and dutiful, noble if you like, to some of the principles that are expected of us, mostly because we might not have a choice. But the choice we do have, is to allow ourself to find our way to the truth of what works for our Soul, after all this is why we are here, to live in the integrity of who we are. ‘I Am’! Moralistic values are important, but only if they are important to you. Each of us to some degree (some more than others) were born with free spirited energy, don’t loose that unique part of who you are. If you feel buried neck deep in what might not be your truth, find the courage and the stamina to break free of what is holding you down. Because I can tell you, breaking free feels pretty good from here!!!! !